The legal move that led to the director’s determination, the appeal and yesterday’s affirmation started with a Part 16 complaint filed by NBAA and airport users such as actor and pilot Harrison Ford, Krueger Aviation, flight school Justice Aviation (which has since closed under a settlement agreement with the city), maintenance shop Kim Davidson Aviation, Aero Film, Wonderful Citrus, which operates business aircraft into SMO, and local aircraft owners. 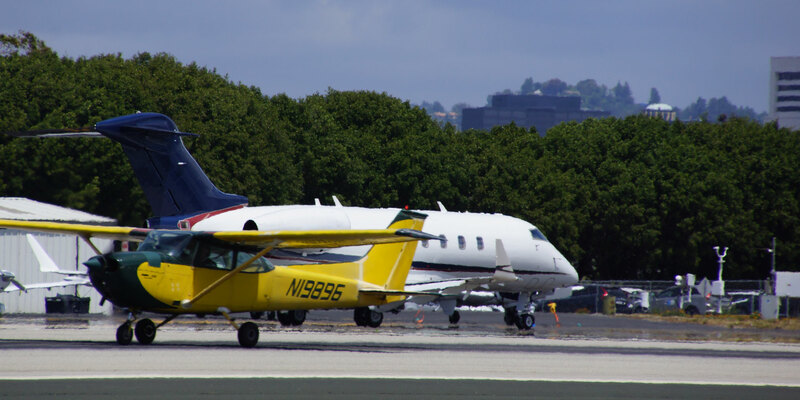 While the city of Santa Monica has kept its end of the agreement to continue operating the airport, it has begun chipping away at some property, recently removing 12 acres of ramp area, which it is converting into additional park space. There are currently 312 aircraft based at SMO, including 16 jets, 13 turboprops, 11 helicopters and 272 piston airplanes. In 2013, the city raised landing fees and also imposed them on based tenants. The result has been a drop in piston airplane traffic, but jet traffic since then has climbed. Looking at June 2013 and June 2016 numbers, piston operations are down by about one-third, while jet operations climbed to 46 per day from 34. Overall operations are down, however, to 211 in June from 271 in June 2013.